If you’re a senior considering downsizing, then you’re about to embark on an adventure. Though it can be an emotionally difficult stage of life, it can be equally as rewarding. There’s sadness when leaving certain memories and items behind, but transitioning to a smaller home and simpler life also will provide a sense of freedom. And the best part about it? You don’t have to do it alone. 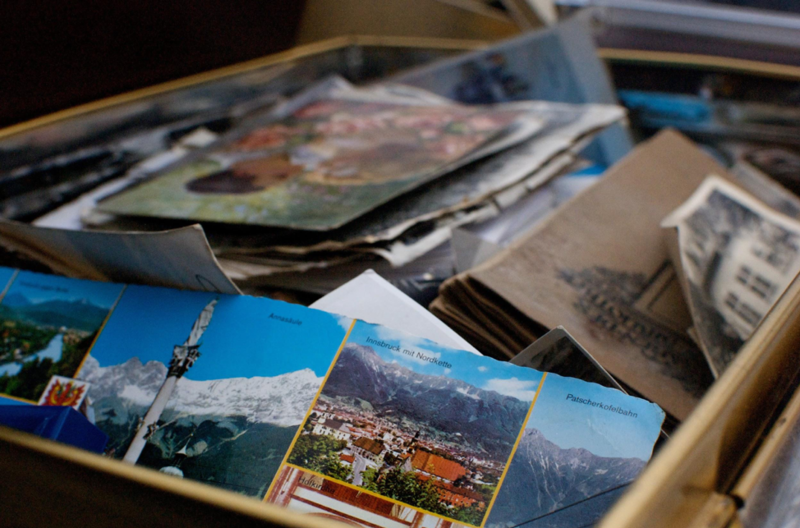 Here are some tips for downsizing your way to a new chapter. If you’re downsizing in space, you’ll need to downsize your belongings, which can be daunting, overwhelming and exhausting just to think about. Dependent on how much time you have, you may start the decluttering process long before you’re ready to move. It should be a daily habit, whereby you sift through items and decide what to keep, toss, or sell/give away. You’ll need to set criteria for yourself as to how to determine what you’re keeping or not, such as: Does it have sentimental value? Does it work? Have you used it in the last year? And do you have space for it? Some items may be harder than others to part with, even though you won’t have the space and you don’t use it. For the items you’re unsure about, give yourself some time and if it’s still a struggle perhaps consider hiring a neutral organizer to help you. This process doesn’t need to be sad, but rather the goal is to look at the new chapter as a freeing adventure. At a certain point, you may have thought you found your forever home, but now your four-bedroom, two-bath home may be just a touch too large for you. Moving is difficult at any age, but leaving many years of memories can be especially challenging. Before searching around for homes, you should assess what you’re looking for out of a move. Perhaps you want to move to warmer weather or live closer to family. Maybe you’re looking to downsize and use the profit towards your retirement, or you may be looking to think ahead and avoid stairs or long commutes. Whatever the reasoning behind your move, you need to focus on that reason and determine the best location based off of your current and future needs. When choosing the location, always keep in mind the big picture. You may not need to go any further than your hometown to find exactly what you want. Start by doing some research. Since you may not want to drive everywhere in the future and desire to have walking access to parks, stores, and restaurants, narrow down the locations that have more access to the things you need and enjoy, and start your search in that area. Hiring realtors and using online search databases can give you a good idea of what options are available in your price range. Some seniors have considered building the growingly popular tiny home, for a customizable, cost-effective space that suits their needs. Downsizing does not have to be a stressful experience. From the very beginning of the process, you don’t need to do it alone. While decluttering, you can hire a moving manager to help you go through your belongings and decide what to keep and what to toss. Moving managers can help you keep things in perspective, deter you from getting a storage unit, and help you sell what you decide not to keep. Realtors can help you navigate the real estate waters. They will help you find homes in the right areas and in your price range, ruling out the duds and saving you the time of looking. Also, include your family and friends because they can be valuable sources of encouragement and assistance. Downsizing can be done methodically by decluttering daily and deciding early on your goals to avoid the tedious pressures that can pop up. Assistance is available every step of the way. The change you’re about to make will leave memories in the past, but the rewards far outweigh holding on to material possessions and old comforts.